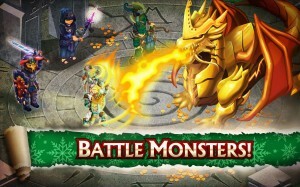 Most Addictive Game: Knights & Dragons. It’s a non-stop action RPG, in which you can play endless battles against knights and mythical creatures. You have to rise and build a team of heroes from friends and other players all over the world and fight then lots of battles full of excitement. The best puzzle game available on the Play Store. You can play for free on Android devices, both smartphones and tablets. 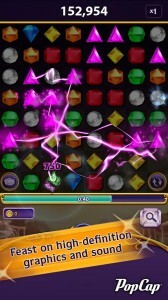 Match and detonate as many gems as you can in 60 seconds. 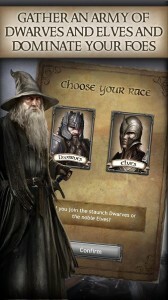 You can play for free in the battle for the Middle-earth, with thousands of people worldwide to fight the Goblin hordes. You can play as a Dwarf or an Elf, construct your city and destroy the Goblins. Duolingo it’s an app for learning languages. It’s completely free and constantly improving. It’s fun, you learn while playing. 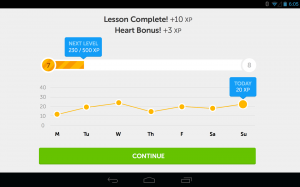 You lose hearts for answering incorrectly and advance by completing bit-sized lessons. You can track your progress at any time with shiny achievement. With Duolingo, you can study French, German, Spanish, Portuguese, Italian, or English. Everybody knows YouTube. The Android versions include features like recommendations, subscriptions to favorite channels and sharing via Google+, Facebook and Twitter. 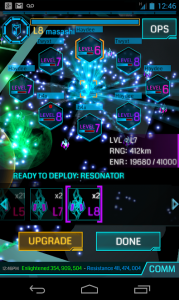 Ingress is a game in which the real world is transformed into the landscape for a global bame of intrigue, mystery and competition. The future is at the stake and you must choose a side. You will try to control a mysterious energy before it controls all of us.